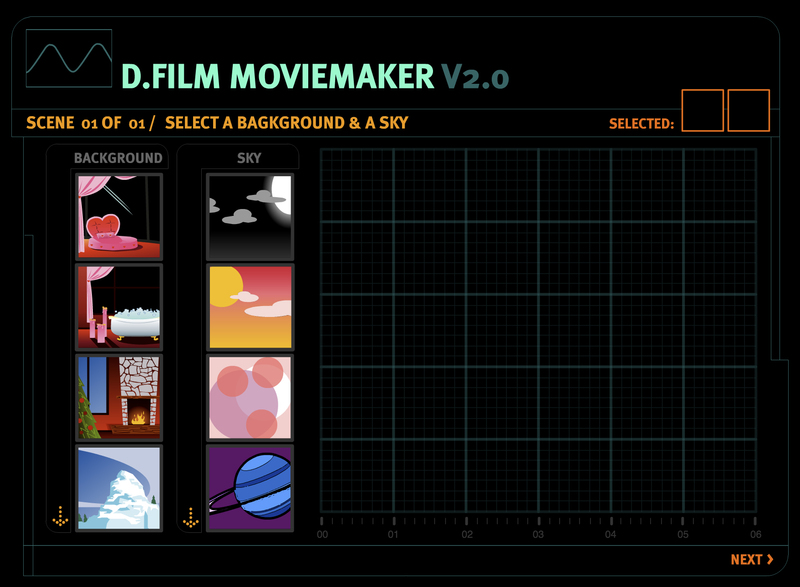 MovieMaker is your chance to DIY! Surprise axis and allies with your extraordinary film talent. Just select a background, character, plot, dialogue, and soundtrack, and faster than you can spell Kuleshov effect, you’ve got yourself a movie. After all these years, people are still using it. Unfortunately it’s not possible to email your homemade movies anymore. We’d like to fix it, but after all these years, nobody seems to know where the source files are. But even if you can’t email your stories, you can still make ’em though.